Driving our Alberta roads, you are probably very familiar with rocks and other debris– the most common culprits of annoying chips and cracks in your windshield. There is no avoiding them! All that is left is to stare through it until your next vehicle… Right? Wrong! Windshield defects can be treated and an overly damaged windshield could be a safety risk. Read on for Park Mufflers guide to deciding whether to fix or replace your vehicle’s windshield. Fixing a windshield crack or ding can actually save you money in the long run, it all depends on the size, depth and location. If the damage is away from the edges, shallow enough and smaller than a five dollar bill– you may be in luck! 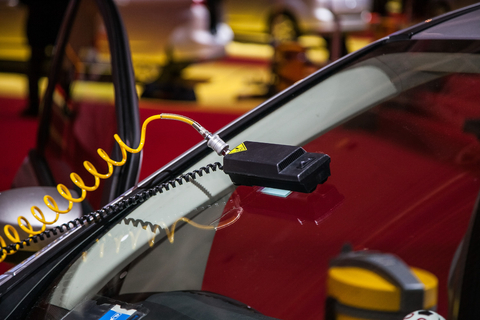 Repaired windshields are more durable and retain the vehicle’s value when handled by a professional auto tech. Multiple or overlapping cracks and chips could mean it is time to invest in a new windshield. This type and severity of damage could mean your vehicle does not actually meet proper safety standards. Additionally, even a small ding that reaches the edges could mean an incomplete seal around the windshield. Have these issues inspected and treated immediately– you could be risking injury or worse. This guide is only a crash course in windshield safety, but there are serious consequences to leaving damage unchecked. At the very least, a premature replacement could cost you a significant sum. Take the first step to repair or replacement– bring your vehicle to Park Muffler for a windshield safety assessment from our friendly professionals.